Effective recruiting and hiring in the world of business is a lot like fielding a team in major league baseball. According to the baseball rulebook, on any given day, each major league team in North America can suit up 25 players. But that doesn’t mean each team has only 25 players to choose from. In fact, they have more. Many more. Every major league team has an “expanded roster” with 15 additional players who are immediately available if needed. Also, each team has a “farm system” of seven to 10 minor league teams. This gives them another 175 to 200 or more players to call on. Teams can trade players with other teams. They also employ talent scouts. These scouts work in countries across the globe, funneling additional talent to both the major and minor league clubs. This coordinated approach is why MLB teams always have someone to fill every role, the instant they are needed. A game is never cancelled because there aren’t enough players. Nor is a position ever left open. There are always nine players in the starting line-up. Leaders in baseball know that it is not a matter of “if” they will need additional talent, but “when.” So, they plan for the when. The roster of employees at your company is ever changing. People leave; jobs are created; promotions happen; new business comes in. All of which generates open seats. Just like baseball, it is never a matter of if a job will open, but when. An effective minor league system for companies often doesn’t even exist. If it does, it usually cannot supply enough talent the moment it is needed. Creating a stronger pull on the market, called candidate gravity, drawing in more top talent, more quickly. 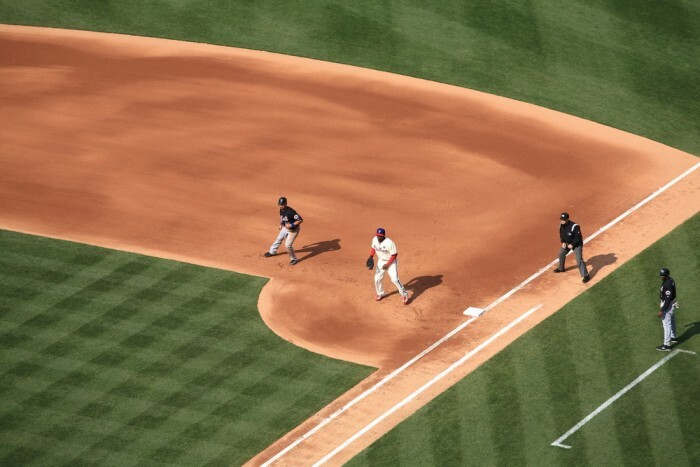 Empowering internal talent scouts (recruiters) to build a talent inventory — a roster of talent that is ready to be called “up to bat” at any time. Engaging external talent scouts (third-party recruiters) who provide additional talent that is available for on-demand hiring in contract and fulltime roles. Partnering with department heads to create and follow a process that ensures a position is never left open. A winning record in baseball requires a continuous flow of talent, ready to play every game. The same is true in business. Winning against the competition always comes down to having the right people and enough of them. Want to learn more about creating this kind of process that allows your company to fill any job in less than an hour? Join me at the Fall Recruiting Conference in Atlanta for my session called Eliminating Time-to-Fill.